The user interface is optimized for smaller screen sizes for better portability and usability. Assign job queues to particular person and get automatic load balancing. 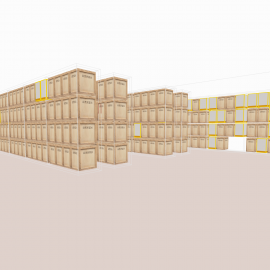 Create virtual 2d/3d map of a warehouse with software for 3d design of your choice. Then you can pin certain positions in the model for faster access or initiate revision process accordingly. 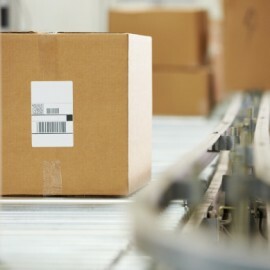 All goods which must be taken out from one or more warehouses are being processed in groups which makes the time spent inside the warehouse minimal. Custom rules can be set for certain warehouses or areas inside the warehouse, which will limit unnecessary unpacking of big packages or respectively collect lots of small pieces instead of taking it in one big piece. The grouping of the goods is made transparently as the new requests for goods expedition arrive, without the workers even noticing. Multiple queues can be attached to a warehouse or areas of it. Each queue is assigned to a single person at a time. As the new request for goods expedition arrive, the overload of the workers is being spread across the queues available. Each queue is sorted in the fastest collecting path possible, so the worker doesn’t end up bouncing around the warehouse losing time. If any of the goods in a queue stays way too long with processing status (because of sorting or other goods reordering), it gets higher priority, so it can be processed further as soon as possible. 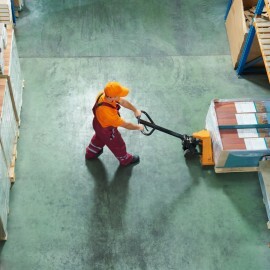 Monitor everything inside a warehouse as it happens in real time. Active Users, Queues Load Status, Queues with Processed/Unprocessed and Collecting/Waiting goods statuses, Server Load Status, Real time Activity Log. Handle faster missing or moved goods. Manual transfer work from one queue to another.